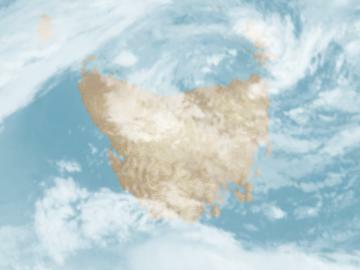 Cloud forming over western, southern and central TAS in brisk winds in the wake of a front are causing showers, which are contracting the the southwest. Bright-looking high jetstream cloud in the north is not bringing any rain. Otherwise skies are mostly clear.